You know those breakouts that just won’t go away—the ones that keep coming back again and again, haunting you every time you look in the mirror? Chances are that we just described your chin. Yep, we’ve been there too: Say hello to chin acne. Chin acne is a totally different beast than the acne we find in other areas, including the T-zone. So how do we get rid of chin acne? Frustrated with the eternal smattering of blemishes that sits below our mouth, we decided to turn to the pros for answers. And luckily skin expert and esthetician Kerry Benjamin was more than happy to help us finally get our chins in check. Scroll through for all the details! On the one hand, treating acne on your chin is no different than treating acne in general. On the other, there is a certain science behind why the chin is particularly troublesome area and understanding that will make treating chin breakouts easier. Blackheads, whiteheads, congestion, or inflammation—whatever type of breakout you’re dealing with, Benjamin says if it’s on your chin, it’s mostly hormonal. Which is both good news and bad news. Bad news in that there’s no miracle serum you can apply that will change your hormones. Good news in that knowing the cause is crucial to finding the best solution. So what exactly do hormones have to do with your skin? To answer that, Benjamin first gives us a quick biology lesson. Your 28-day menstrual cycle can be broken down into three sections. During the first seven days, estrogen levels are high. On days seven to 14, estrogen begins to drop. Day 14 through day 28 is when estrogen reaches its lowest levels. Benjamin explains that breakouts are most likely to occur seven to 10 days before your period because that’s when estrogen, which helps keep your skin clear, is lowest. Also during this time, testosterone increases, leading to an increase in sebum production. Progesterone levels increase too, causing your pores to constrict. So you’ve got low levels of the skin-clearing hormone, plus excess oil and constricted pores—basically the perfect storm for an acne flare-up. Since chin acne seems to be mostly attributed to hormones, there are plenty of ways to treat hormonal acne. Jeremy Fenton, MD, of Schweiger Dermatology Group, told us that once we change our diet, we will notice a significant difference in our skin. “Dairy has been shown to stimulate testosterone production in people who consume it, and spikes in testosterone can worsen acne. Dairy also naturally contains its own hormones such as estrogen, which can exert their own impact on a person’s hormonal balance,” he said. You can also switch to a more gentle skin routine. “Even when your skin is doing well, you should continue your preventative skincare routine,” Melissa Kanchanapoomi Levin, MD, board-certified NYC dermatologist and clinical instructor at Mount Sinai Hospital told us. “That means in addition to regular daily sunscreen or sun protection, continue using your topical retinoid such as Differin Gel, and if your skin is not irritated and can tolerate an exfoliator, try alpha-hydroxy acids or salicylic acid two to three times weekly. In addition to clearing existing acne, Differin Gel will also help to prevent future breakouts from forming by increasing skin cell turnover to minimize clogging of pores.” See two of our product recommendations below. 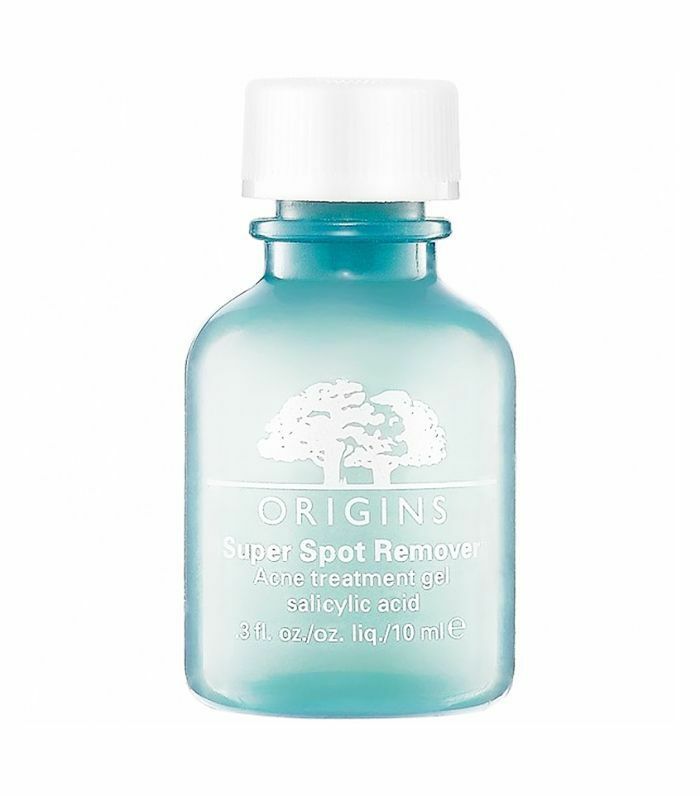 This treatment is packed with super acne-fighting ingredient salicylic acid and red algae to help reduce any redness. To prevent future breakouts, it also exfoliates away excess oil and debris from your skin. A good moisturizer for oily, acne-prone skin can be hard to find, but we’ve found something that solves our blemish problem with this one from PCA. It contains Marigold flower oil, lemongrass extract, and cucumber fruit extract to calm any redness or irritation and vitamin A to get you the clear complexion you deserve. Next up, read up more on hormonal acne.